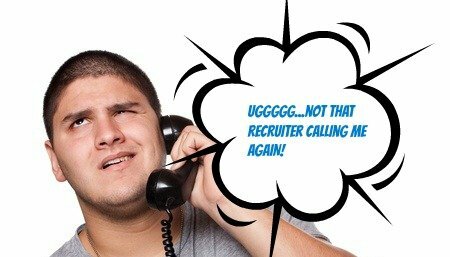 I got a LinkedIn connection request this morning from a recruiter from Zynga, who said: Technical Recruiter at Zynga - ******@zynga.com or 415-603-* Dont’; be so negative. And I don’t want to connect with you. Well for starters, I usually only “connect” on LinkedIn with people I’ve personally worked with in the past, know on a personal level, or a handful of recruiters who have actually placed me successfully at a job, or that I (gasp) respect. I get spammed regularly and frequently by Ticketmaster / Live Nation via LinkedIn by someone named Natalie Kuperman (LinkedIn says she’s contacted me a total of 16 times). I’ve asked her to stop, but I’m guessing that TM/LN have paid for some super premium account at LinkedIn which allows automated means to contact users in bulk. Trouble is, LinkedIn has no way to allow me to block her messages. Worst of all, the Emails that wind up in my Inbox have no way to report the user for spamming, I have to waste a few minutes of my time to log into LinkedIn to flag her message (and her account) as spam.